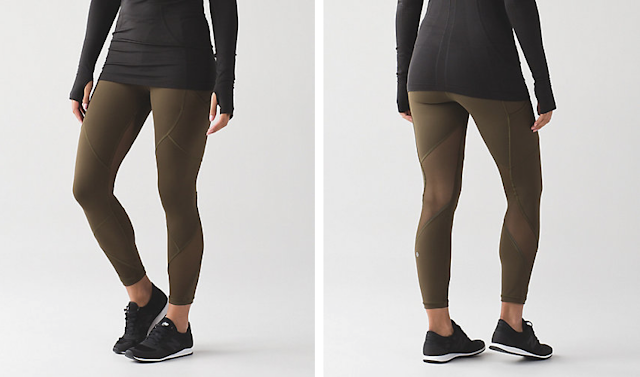 The huge hype up of the Florence Speed Wunder Tights, and subsequent disappearance of them is pretty much comical at this point. 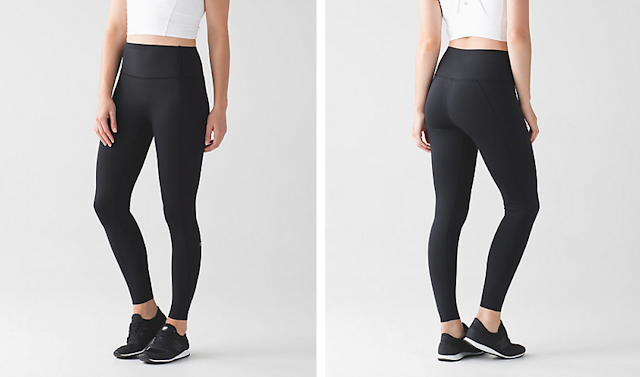 They hyped the NULU Speed Wunder Tights so hard with a high production video on youtube, special enrolment email to get first dibs, fall preview fashion parties for US stores….and then no Florence Tights released. And the tights that did get released, the Marble Print, are not selling out at all and the reviews online for them are being heavily edited. Not only that but I’ve been told that the stores having the Fall Fashion Parties where originally supposed to have the Florence tights, along with the new prints I previewed here over the weekend but at the last minute corporate pulled the plug and left most stores hanging as to what to show all of their guests. Instead, they let Miami, LA and Chicago debut the pants exclusively and they invited media to those events. The mystery of what is going on with the Florence Print Tights is growing increasingly interesting. Meanwhile, this upload is pretty boring. 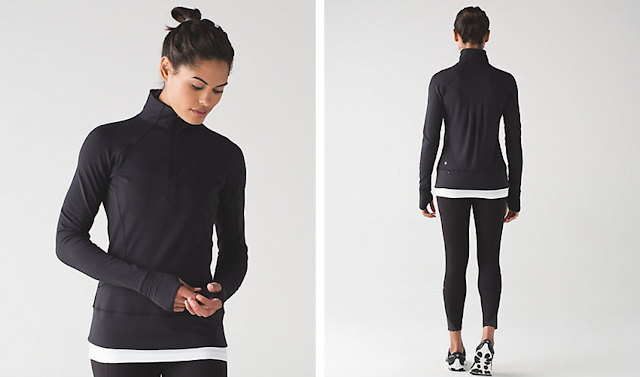 A few shining stars in my opinion – the Rush Hour Jacket, the Like Nothing Tight, and the Brave Olive Swiftly Items. Did you order anything tonight? Do you have any intel to share about the mystery of the fall prints? 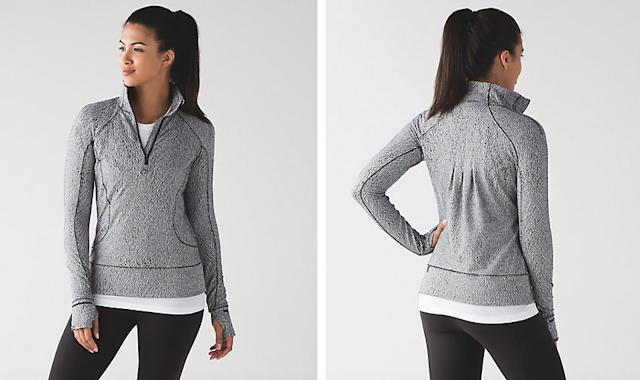 Don’t forget about my new Lululemon Reviews Facebook group! I have a permanent link out to the group on my pages tab above. 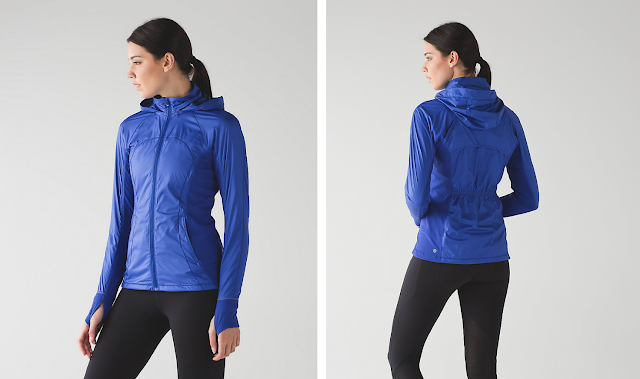 "Fast Free Tight or Like Nothing 7/8 Tight, Rush Hour Jacket and More"
To me, THE. WORST. UPLOAD. EVER! Agree! The prices are dizzyingly high, and everything looks mediocre at best. I saw the new olive colour in the store and I found it kind of pukey (apologies to those who prefer this yellowish green). I got so distraught that bought the braided Vinyasa scarf for $34. 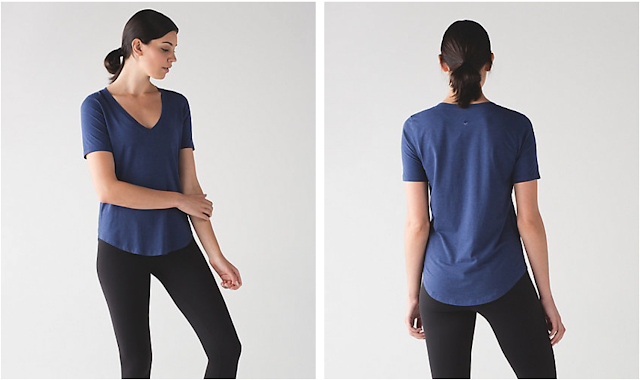 Where did you find the vinyasa for $34?? Thanks!! At the Briar Hill store in Toronto. It was the only one, probably that's why they put it on such a deep discount. I considered myself very lucky! Boring. 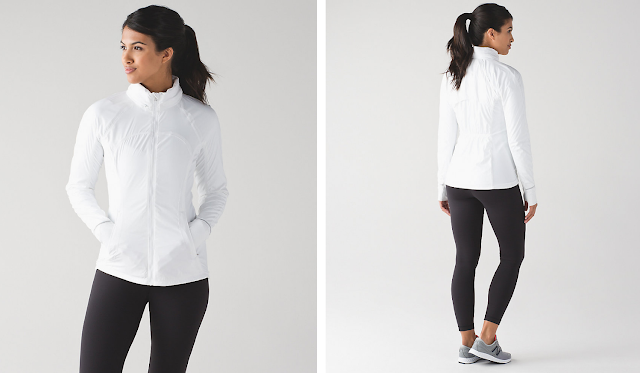 Why are they using the blond, runner Athleta model? 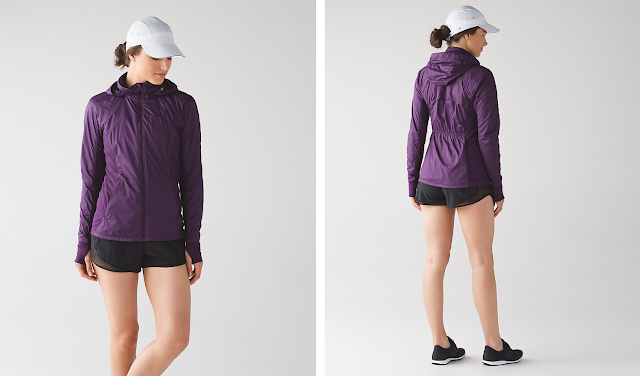 I see her and I think – ATHLETA! They're not. Different girl. I'll tell ya, though, Athleta's looking pretty good about now! I know! I thought the same thing! She is on the header of the "What's New Page" and I think I saw her on the UK page. I wonder if they will have her start modeling some of the clothes. Totally noticed that as well! 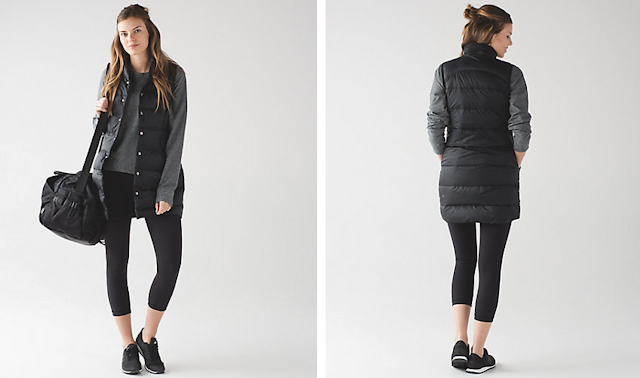 The softshell jacket and the vest both look like men's cuts. Blech. Tell you the truth, I don't even like that print for tights. It is ok for shorts, but this is the kind of print I will not reach for after wearing it a few times. It will also look dated in a year. My preference is for classic patterns, like paisley, stripes and polka dots and solid colours. Terrible. Really disappointed in the direction this brand has taken, and how quickly and completely it's happened. Everything that was special about LLL is gone, and beloved styles have been replaced with generic, poorly made designs. Amen. Did not even check the upload this week. I was invited to a store event but did not even bother going. Completely agree, very disappointing what has happened to lulu…and so quickly!!!! Sorry to beat a dead horse but that mesh on the Outrun tights really ruins them. All that mesh on tights at this time of year just doesn't make any sense anyway even if I liked mesh (which I don't). I'm with you there! What's the point of having mesh on long tights? If I'm wearing tights it's because I want my legs to be covered. If I don't then I'll wear shorts! have you guys seen the new speed tights v?? 1/3 is mesh. they have completely ruined them! I tried them on last week. In the inkwell, you don't notice the mesh much on the hanger, so I was hoping it wouldn't be too bad, but it looked and felt terrible. Plus, you've got to just feel like a huge loser walking around wearing all mesh pants. It's like wearing your clothes backward to be edgy. 4 year olds might be able to pull it off, but the rest of us look like jackasses. lol, I agree anon 10:50! It isn't a good look for anyone. 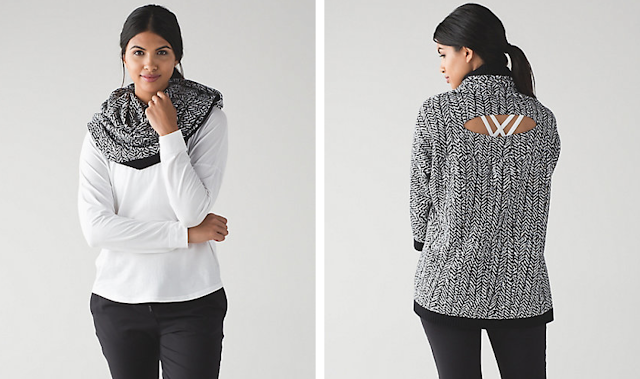 omg, even that scarf/wrap thing has a hole cut out in the back to show off your bra, lol. They're really milking it (the whole "show off your bra"/buy more bras thing) for all it's worth. At this point it isn't even cute anymore. That useless, drafty hole completely ruined the scarf for me. Not that I would ever consider buying it at full price, of course. I just can't even with these prices. $68USD for a freakin' crop top? The stupid Muscle Love Crop Tank… is this from this week or last week's upload (you can never tell because they mix up all the new items with the previous week). It's not even a full shirt! These prices are maddening. The only thing I am interesting in is the black/brave olive LS Swiftly but I'm finding it hard to swallow the price of almost $80 for such a thin shirt. 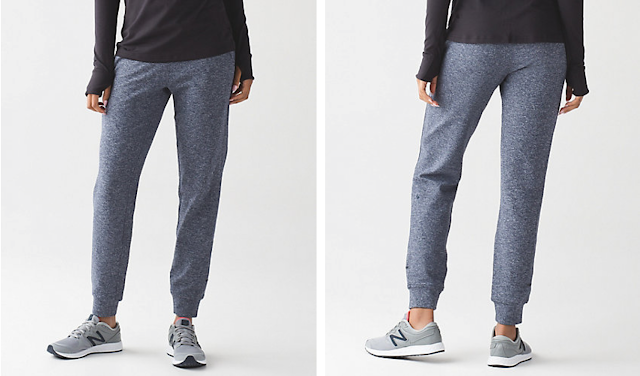 I remember the good old days when Wunder Under crops were like $72 (for bottoms, no less!). Just UGH. I know!!! I saw the price of the Muscle Crop Top and thought who in their right mind would pay $68 plus tax for that little bit of fabric. I am glad to see the Black/Brave Olive is in the s/s as well so I am going to get at the same price of the Muscle Crop! I don't really feel like I cannot afford anything worthwhile there. The prices are going up and the quality is going down. I know people have been saying that for years, but I got into Lulu last year. And I bought some great stuff in summer and now it seems like in fall, they did tons of price hikes, removed beloved favorites like the Cool Racerback, and are releasing tons of stuff that is so overpriced. Those new rulu pants look so cheap compared to my base runners from last year. And 68 for a crop top? I bought some What the Sport tees last year and this year for 58 dollars with silverscent! I also bought some sweaters like the Sunset Savsana pullover and now they are charging 150 for the sweaters that don't even look nice! I think at this rate, I may just stop looking at the upload and buy nice stuff from Nordstrom that comes with an excellent return policy. I actually bought the Outrun crops today (in boring black). I didn't want to like them, and find them slightly sheer when compared to my Pace Rivals, but I fell for all of the pockets. The mesh didn't totally kill them for me (although I'd prefer no mesh). I know I didn't get anything "new," but I haven't been to a store in awhile. Oh. I also tried the Breeze By Long Sleeve and liked it except for the fit under the armpits. I figured I could wait on that one to possibly hit WMTM. I thought this was on OK upload but I was hoping for the florence print in Run Times. 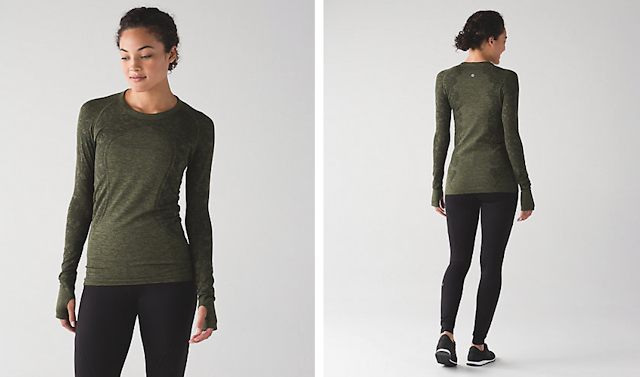 I like the Olive Swiftly and the Rush Hour Half zip. Oh the rulu items have been so disappointing so far with less than flattering styles with unappealing details and high prices. I don't have much luck with rulu pants as they show every little flaw but I am going to try on the blue Ready to Rulu Pants. 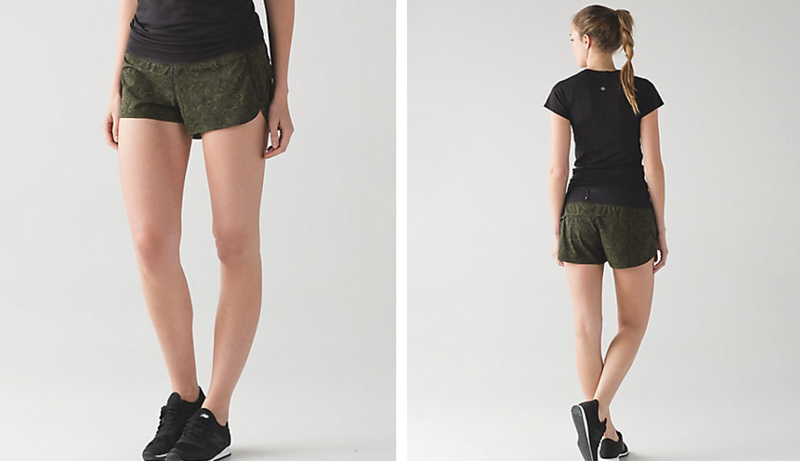 I really love the Black/Brave Olive print from what I have seen of it in pictures especially on LLM so I will probably buy the s/s as I wear them a lot more than the l/s Swiftlies. I finally can say I love a Swiftly print and it's so refreshing to finally have something other than heathered that I like so I really hope to see this print in more colours. I am also going to check out the Rush Hour Jacket in the Chilled Grape and hope that it isin't too short for my liking. As for everything else in this drop, no thanks. Do you think the postponed release might have something to do with the quality..like with the marble tights???? Maybe one pair of expensive tights is one thing but 2 back to back???? Might be really bad press. I was thinking this too. It seems most likely. 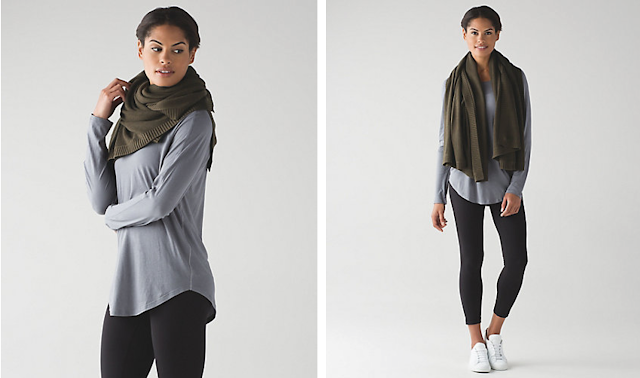 Going to the store Thursday to check out the Rulu hoodie and the Olive swiftly. I have a feeling I'll be leaving empty handed though. Ugh would have bought the Ready to Rulu hoodie if they didn't ruin the nice jewel tone with the ugly spray jacquard. Can't justify the black version either, I love my Alala Shadow Dolman Hoodie faaaaar better– way more details, and even cheaper after a coupon. The fabric feels exactly like rulu to me. hey lulumum, I put in a request for the reviews page but now I can't even see the page. have I been banned or do you just have a backlog of requests? Do you have a really bare looking profile? I deleted 2-3 that looked brand new and where bare (unpopulated, no avatar). I haven't blocked anybody though. Did you click the link at the top of the page? To add to that, no bum pocket is not flattering on most people. 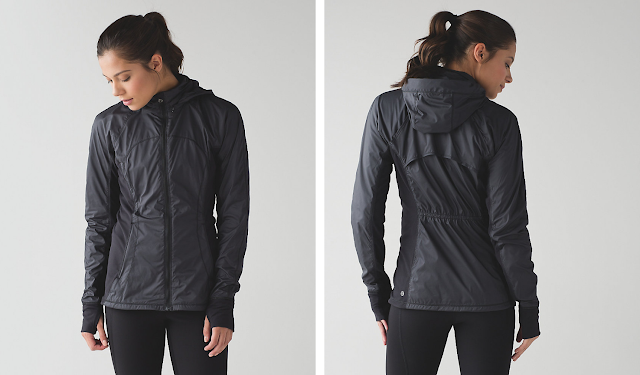 did you guys see the All Day Softshell jacket at 398CAD?????? what in the loving f….!!!! a jacket for almost $500 once you add up taxes?!?! I'm officially done. I'm guessing the Florence tights are see through.. I'm so disappointed with LLL! I know companies are all about money but LLL used to have something more! They used to make their customers feel good ans special, they used to care! Now they are just a normal company and they are loosing me as a loyal customer! I used to buy every week, and now, I'm not even interested, I actually find it very insulting that they are offering lower quality items, no details, no added value and are asking 20$ more for each item! Really!!!! If you want to increase the prices that much, you better up your game! Whatever happened to the quote on their bag saying friends are more important than money? I think they shouldn't preach something they don't follow! Making money is great but taking their customers for granted and thinking they are stupid enough to buy anything at any price was one of the biggest mistake they made! I think they better switch their strategy quickly and go back to how they used to do business if they want to survive in the long run! I can't see that strategy working for long! I agree. I used to buy every week until the summer stuff ended. It seems like in a matter of months the quality has disappeared and the prices gone up sky high. I bought some sweaters for 128 in summer and bought the open your heart LS for 68 and now the Belle LS, this year's replacement style is 100. I bought base runners last year for the same price as these cheap looking 108 sweats. 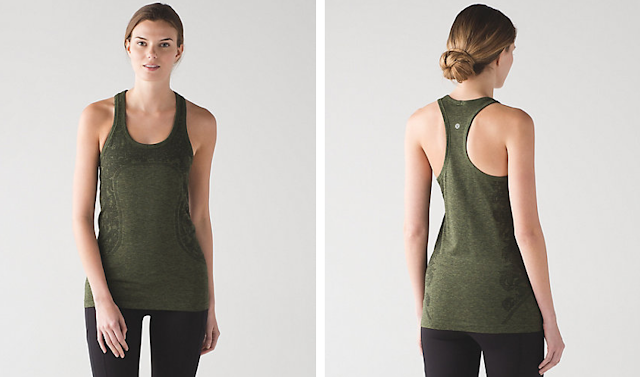 lululemon used to have so much character in their designs. Now I rather shop at Nordstrom for their return policy or North Face for that generic look. I wouldn't even refer to them as a normal company because no normal company in their right mind would pull the crap this one has. Mr. Potdevin et al took over a company with a built in loyal following and from day one to now has all but obliterated everything their loyal followers loved. Potdevin & Co. are so lame because they do not even comprehend that a customer (just speaking for myself) would rather order a pair of leggings from Carbon38, which cost more by the time I do conversion and ship to Canada, but are great looking and technically solid! (If you are in the US, you don't even face my challenges if you order from Carbon38.) I'm not going to buy middle of the road, mediocre items or plain terrible items – most of them with gross mesh or boxy tops – for the prices LLL thinks they can charge. If a whole other group of customers are buying these items, more power to them. That does not mean LLL has increased their market share. They have just switched one customer base for another. And judging by everything that is ending up on wmtm (for reductions that can only be ridiculed), their strategy is not working. Increasing prices in Canada is also lame. 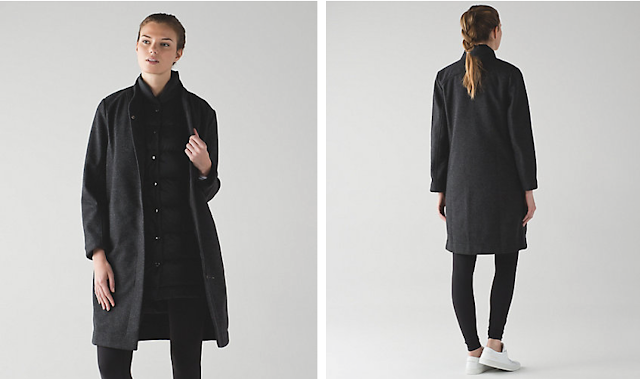 Hello, Canadian retailers of clothing are struggling. The ONLY thing that appeals to me is the black/brave olive colour. I will never buy the CRBii; I don't care what great colours they make it in. Brave olive (type colour) is flattering on me and I like the swiftly tops (have no issues with pulls etc.) But, I don't think I can stomach the $78 price tag for the ls one. I think I have enough ss ones. It was already a test of my limit to buy the special Canadian Olympic ss one in black/red, which had the increased price. Everything else has no appeal and I have no interest. Anything that I might be interested in (there's not that much), over the past little while, I'm perfectly willing to wait it out for an online warehouse sale or Boxing Day. Yup, 3 months! Even then, if Boxing Day prices are not low enough, I won't cave/settle. I only buy what I truly love now. And that has been happening for at least 3 years. LLL has had few and far between that appeals to me (due to deteriorated quality, lack of details/design, ugly prints and too much mesh). Yet, they wonder why they are losing sales. I know a number of longtime, loyal customers are in the same position. It isn't a mystery to us, that is for certain! The CRB II is just hideous. Looks cheap inside and it's so much shorter. How is something shorter more money? PS – I can be happy that I have the CRB1 in khaki and also a ss Swiftly in khaki that I actually got on md in store. As far as colour goes, close enough! And I'm never going to see a CRB1 in brave olive. I will have to ruminate on the ls brave olive swiftly. I look at them on a hanger at the store and you can see the poorly stitched seams and I think what a clear example of poor workmanship. Their products this year have left a lot to be desired quality wise. that is very interesting to hear, lulubell! I'm surprised they are in the outlet stores already. and to be honest I am glad this is happening. sorry, not sorry. maybe now they will realize what a big mistake they've made by getting rid of the original crb. That's what I'm hoping too!! LLM, that's great of you to set up the FB page for LLL product reviews. You mentioned another option (forum of some sort) for those of us who don't use or want to bother with FB anymore. No pressure, I know it's a lot of work and thanks for all you do. I look at your blog more than I do LLL's site! I want a deep Zinfandel fleecy keen! … With ruffles! Nothing for me from upload. I did order pique speed tight v's last Thursday on wmtm. But, I don't think I've been in store since August? And I used to go weekly to purchase… I think they are losing their minds!! Or, want a different customer base ? I instead bought a great jacked from asks off 5 th for $199, fancy, nice details beautiful liner (cole haan). I think if they're (lulu) charging that much they need to do much better. Their prices finally crossed the line for me, in terms of.. "I'm bleeping crazy for spending that much on shirts, sweaters, hoodies, etc." I actually just received an order of a bunch of old navy athletic wear that I bought on a whim while I was online back to school shopping for the kids and I was pleasantly surprised at how much the quality has improved. For $16 for a pair of high rise crops that are as soft as lulu and fit just as well, I'm willing to forgo the design feature of a pocket in the waist. I got a pair of gray space die ones and black ones that offer better compression than my lulus. I think I'm done. I haven't bought anything but 3 Love tees in over 16 months. I have a couple of Old Navy crops that are amazing and have lasted just as long as my lulu, are opaque (which I cannot say for some of the lulu), wash and dry well and look brand new even 3, 4 years later. Some of their tops leave little to be desired but they are doing well on their run/yoga bottoms for sure! They've totally stepped it up big time. Old Navy is good. Gap is slightly better. 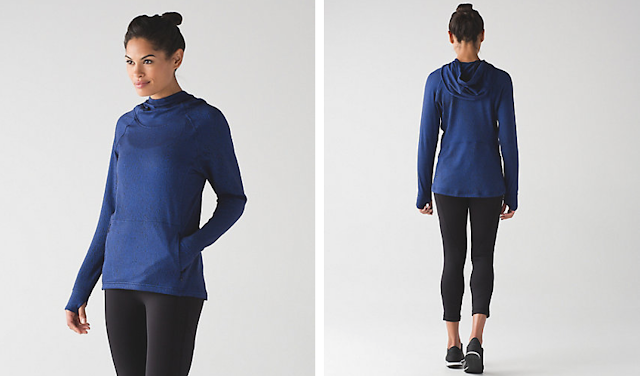 Athleta rocks. They are all the same company together with Banana Republic. With their constant 40% sales, the Gap family is a winner. Sizes disappear quickly, though. yes, I noticed this too! Same thing but with size 4. weird that it is still showing up as available online , at least last time I checked (for both sizes 4 and 6, the rest show not available), not sure as of right now though. I think they are 'adjusting' the inventory. I believe we saw them do this before when they wanted us to believe something was selling fast. to create FOMO. despicable…. Totally agree with you anon 7:49 PM. I have seen this happen numerous times, most recently with the Chilled Grape Short Sleeve Swiftly! It is despicable. Yup, this has become standard practice for them and it really is shady. It works though. I have seen plenty of people post on here and facebook pages that an item is sold out in a certain size. People get FOMO and run off to buy their size. The next day, a full size run is back. It makes me really sad that a company would resort to this. Preying on people's weakness is not a good business model, but most higher end brands do it. (Apple for one) I do believe sooner or later this will catch up with them. In the meantime, shame on you Lululemon! Full size run is back and available on Canadian site! omg, this is shady. We need to be stronger than this! A lot of Swiftly tops have been going to WMTM recently and they aren't even selling as well as they should be there. No wonder with the prices these days. Even if we do wait for WMTM the price is a slap in the face. Maybe people are getting smarter and catching on and waiting for them to be marked down even more. If they sit there long enough they eventually do get marked down a few extra bucks (around $9 to start then if they sit there long enough they go down another $4 or so). 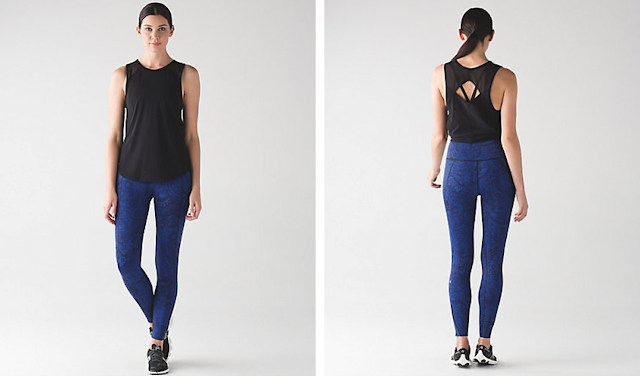 It's almost like they are playing games with our weakness and loyalty for Lululemon. and that is insulting. it's like what? they just happened to find some unopened boxes in a corner of the warehouse. look, more swiftlies! let's bump up the inventory. or maybe the elves finished up a new batch overnight. maybe they're trying not to have a repeat of what happened with the True Red Swiftlies – all styles went to WMTM in all sizes (and are still sitting there a week or more later in almost ever size!). I'm thinking this because they pulled this trick with the Chilled Grape Swiftlies (both the SS and Tank) and now the Brave Olive Short Sleeve Swiftly. I also believe they did it with the Sapphire Tank and SS (wasn't "watching" these ones as closely, lol, so don't know for certain) but not the LS. Trying to create FOMO and get us to buy so they don't end up on WMTM (for a dollar more than their regular price was a month or so ago, ha! not really funny though, it's actually sad). While they offer free online returns, FOMO just creates anxiety. You can always return the **** if it doesn't work for you. If they were to charge for online returns, that would be another story. Wow. Just wow. ( using my daughters expression) Thus was there exciting big fall product drop?? Wow. Nothing for me. I wonder if they are having supply issues. I read about a month ago that a Korean shipping company (Hanjin I think) had declared bankruptcy and it would be a major disruption of supply for many retailers globally. I wonder if there is some lulu that is being held up. That was asked on the last earnings call and they managed to evade the question really well. Lululemon stated that none of their product supply was affected, but they have been known to rely on Hanjin….and it would be pretty impossible for them to have not used Hanjin. I don't think there are any supply issues. just lulu conducting it's business in a shady way. as mentioned in the comments above, they are creating this shortage of inventory only to have a full size run a few days later. shame, shame on them. I totally agree with you anon 8:28 AM. I remember reading somewhere (must have been on this blog or LLAs blog, a link to an article or something, or maybe a blog post) that they had all supply chain issues sorted out (supposedly the reason for all the great markdowns after Christmas season/end of winter season) and that we should no longer expect to see such great markdowns in future because it was all sorted out. Actually I'm pretty sure it was here on this blog and it may have been in first quarter report or something, I'm pretty sure LLM did a post on it. 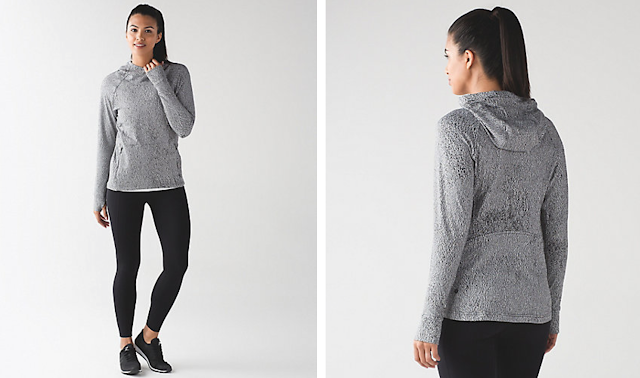 The rush hour 1/2 zip and Ready to Rulu hoodie are really the only things that I'm sort of interested in. 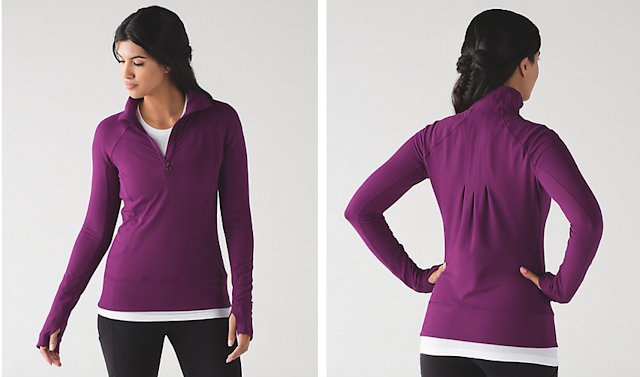 I'm just not sure I love the back of the 1/2 zip as it's kinda puckered. The hoodie is cute, but I would prefer it in that chilled grape colour. Other than that, everythign is blah as others have pointed out. I used to get heart thumps over things and be like "OMG I HAVE to have this" now I'm like "do I like it? yeah, it's ok, well maybe not, well maybe yes". Over all another pretty boring upload. There are maybe a few items I would normally go for just for fun but the prices have really put me off. I have never gone this long without making a purchase. I think I am on month 2…. my last purchase was a pair of socks! Ugh! Their prices are getting a bit ridiculous. 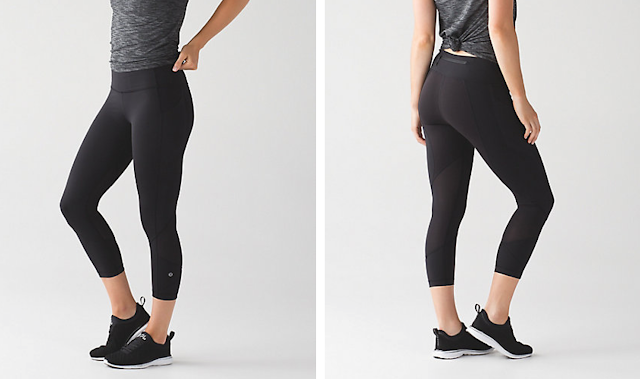 $118 for the Outrun Tight. Really?! oops! that is very interesting…. they keep messing it lately.